Handmade Australian man with bedroll, cork hat, billy, stick, and swag. 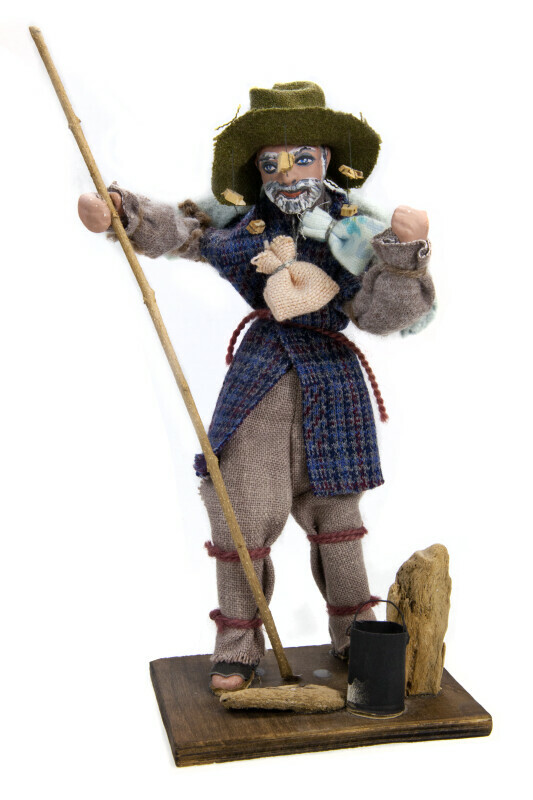 Tag on figure states: "The swagman was one of those early settlers – hard workers and adventurers, who in harsh conditions worked as labourers farmed, explored and built towns. This is a correct revival of the typical “SWAGGIE”. Designed, and, handcrafted in AUSTRALIA." This figure stands 8 inches (20 cm) tall.